The Scrubber material should not be exposed to strong oxidising agents. Please read the COSHH for the hydrocarbon Scrubber for materials and chemical compatibility. 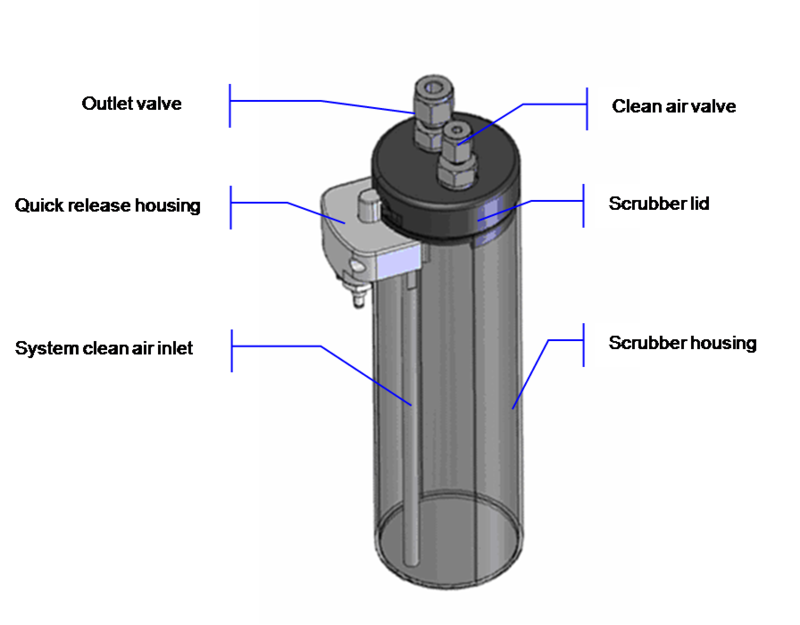 The Scrubber Unit generally houses two types of adsorbents to clean and dry the internal gas flow. The first is activated carbon (Hydrocabron trap) which reduces the internal hydrocarbon to 0.1ppm methane. The second, a molecular sieve, is used to dry the air flow to a suitable and stable level. Dependent on application each Scrubber can house a pre-defined ratio / type of adsorbent to generate the most favourable internal environment for target analyte detection.